Fourteen people were charged over the weekend as part of a continuing police operation to address violence and anti-social behaviour across Aberdeenshire. In Stonehaven, two 42-year-old men were charged in connection with alleged assaults in the town centre while men aged 29, 25 and 22 were charged in connection with alleged anti-social behaviour incidents. A 37-year old man was also charged in connection with an alleged assault in Portlethen. 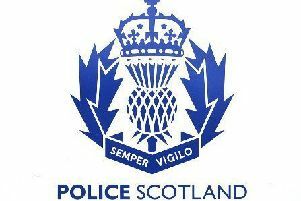 In Banchory, three men – aged 62, 27, and 20 - were each charged in connection with separate alleged assaults while a 20-year old male driver was also charged in connection with the alleged manner of his driving in the town centre and issued with an anti-social behaviour warning. In Inverurie, a 40-year-old man was charged in connection with an alleged assault and shopliftings. A 38-year old man and two men aged 23 and 22 were also each charged in connection with alleged anti-social behaviour in the town centre. Officers also undertook 60 licensed premises checks during the weekend period.